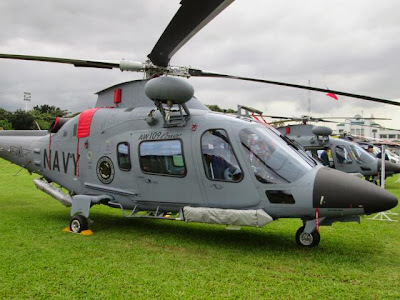 Manila, Philippines – A military spokesman on Saturday disclosed that the Philippine Navy (PN) has a sufficient number of pilots and flight crew to man its three newly-acquired AW-109 “Power” helicopters, and two more that are due to arrive in 2014. PN spokesman Lt. Cmdr. Gregory Fabic said that at the moment, there are seven pilots assigned per helicopter. He added that an equivalent number of AW-109 trained co-pilots and crewmen are also available. “More (pilots and crewmen) are now undergoing training to ensure that the aircraft can be manned at all times,” said Fabic. 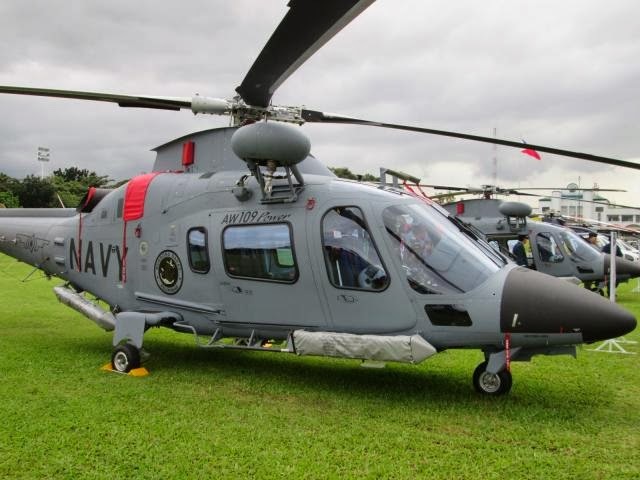 The Naval Air Group (NAG), the unit tasked to operate and maintain the Navy’s aerial assets, currently has more than 50 pilots on its roster, according to the Navy spokesman. Prior the arrival of the AW-109s last December 8, the inventory of the NAG consists of one Robinson R-22 helicopter, Blohm B0-105 helicopter, two Islander aircraft, and four Cessna light utility planes. The firm’s representatives added that the AW-109 is very maneuverable, and very ideal for shipboard deployment.